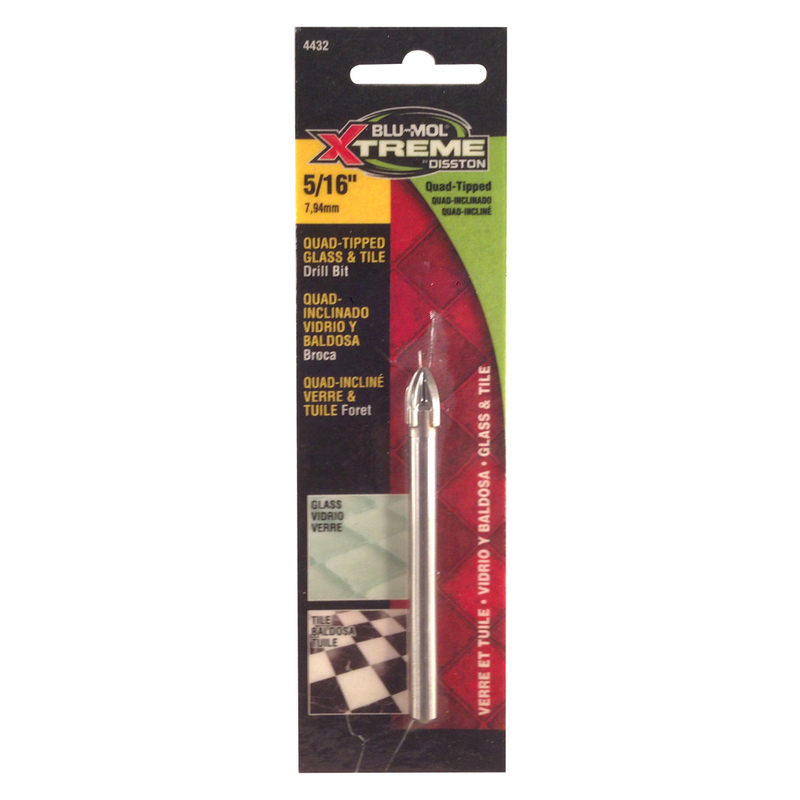 Blu-Mol® Xtreme Quad-Tipped Glass and Tile drill bits feature quad-tipped carbide tips which improve durability, accuracy and speed above standard glass & tile bits. Polished bright finish provides maximum dust ejection. Solid high-grade tungsten carbide quad-tipped bits create smooth holes.